I regret to inform you that my good friend and BJI contributing writer, Bill Burton, passed away last month. Bill was an expert at poker and wrote a poker column for the BJI from 2005 until 2011. Bill was also very knowledgeable in blackjack, craps (particularly dice control), slots, and other casino games. He wrote articles on casino gambling for several publications, and authored several books. Bill earned the respect from casino players for his straightforward and honest writing. We will miss him. 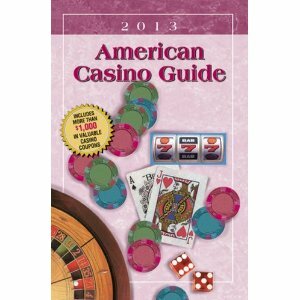 Here at BJI, we LOVE the American Casino Guide, which is the #1 best-selling gambling book in the country. It is full of amazing casino discount coupons that every player should have! Our price for the new 2013 edition is only $12.95, so there's no excuse not to order a copy!. Click here to order a copy for yourself from our store, or as a gift, today. (To see all the money-saving coupons, click here. Coupons good until December 31 2013). We'd like to welcome our newest Blackjack Insider sponsor, Gambling Gazette. This excellent casino portal has great reviews of online casino bonuses and games. 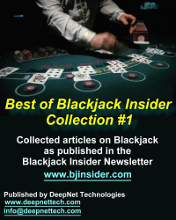 Read their special article, Who Really Wins with Blackjack, the Players or the Casino? 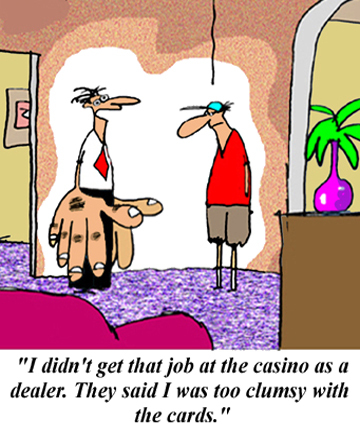 Craps tournaments can be quite lucrative if you know what you are doing. Walker is a successful tournament player, who wrote the above article that appeared in BJI #90. It contains excellent advice on how you can get the edge over your opponents in craps tournament. Click here to read the article. E-mail subscribers can also read each month's issue online at our web site: BJI Issue #163, August 2013. "This true story is about how an astute player took advantage of a bonehead promotion to the tune of several million dollars..."
DON JOHNSON: HOW HE BEAT BLACKJACK-PART 3 by Eliot Jacobson, Ph.D.
"Eliot Jacobson determined that Don Johnson could have won even more than the millions he already won from several AC casinos if he would have done the following..."
"This month I will cover the off-the-strip/not downtown casinos, where I discovered more decent opportunities for double-deck games that have low table minimums and good penetration..."
"After last month's adventures on Paradise Road, I headed west a couple of blocks this month to the once fabulous Las Vegas Strip to visit two properties owned by Caesars Entertainment Corporation. If you want to know more about Bally's Las Vegas and Paris Las Vegas, buckle up and read on..."
"From Sacramento, CA, travel north on Highway 88 and you will be in Oroville (ca. two hour drive), home to a couple of Native American Indian casinos, Feather Falls, and Gold Country. From there, we will travel south on highway 45 to the town of Colusa, where we will explore another Native American casino. 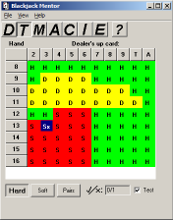 Then further south, I'll review the action at Cache Creek, the largest of the four Native American casinos..."
"I'm going to show you how to save $80,000 over your lifetime of playing blackjack. Don't believe it's possible to do this? Keep reading and I'll show you how easy it is..."
"John Grochowski answer's reader's questions dealing with whether casinos based player's comps on their spending on casino amenities as well as play in the casino; several strange blackjack superstitions; and the three-way progressive on Double Double Bonus..."
STICKMAN'S STANCE: PLAYING THE DARK SIDE IN CRAPS by Jerry "Stickman"
"They are among the most despised of casino critters. They are ignored, sneered, and cursed. No, they are not pit bosses or any other casino employee. They are the "don't" players at a craps table. Nevertheless, you can still win betting the don'ts. Here's how..."
"Here's a strategy that my friend and I used to get the most value from the coupons in the back of the American Casino Guide book to offset the cost of a Vegas trip..."